The First Thai–Lao Friendship Bridge (Thai: สะพานมิตรภาพ ไทย-ลาว แห่งที่ 1, pronounced [sàpʰaːn míttràpʰâːp tʰaj laːw hɛ̀ŋ tʰîː nɯ̀ŋ]; Lao: ຂົວມິດຕະພາບ ລາວ-ໄທ ແຫ່ງທຳອິດ, [kʰǔə mittapʰâːp láːw tʰaj hɛŋ tʰám ǐt]) is a bridge over the Mekong, connecting Nong Khai Province and the city of Nong Khai in Thailand with Vientiane Prefecture in Laos; the city of Vientiane is approximately 20 km (12 mi) from the bridge. With a length of 1,170 meters (0.73 mi), the bridge has two 3.5 m (11 ft 6 in)-wide road lanes, two 1.5 m (4 ft 11 in)-wide footpaths and a single 1,000 mm (3 ft 3 3⁄8 in) gauge railway line in the middle, straddling the narrow central reservation. The cost was about £19 million, funded by the Australian government as development aid for Laos. Traffic on the bridge drives on the left, as in Thailand, while traffic in Laos drives on the right. The changeover at the Lao end, just before the border post, is controlled by traffic lights. A shuttle bus service operates across the bridge, between the Lao and Thai border posts. Bicycles and tricycles etc. can travel on either the road or the footpath. Pedestrians can walk on the footpath. The bridge is part of the AH12 Asian Highway Network. A metre-gauge rail track from Nong Khai station runs along the centre of the bridge. Road traffic is stopped when a train is crossing. On March 20, 2004, an agreement between the Thai and Lao governments was signed to extend the railway to Thanaleng Railway Station in Laos, about 3.5 km (2.2 mi) from the bridge. This will be the first railway link to Laos (but not the first railway, as a short portage line once existed). The Thai government agreed to finance the line through a combination of grant and loan. Construction formally began on January 19, 2007. Test trains began running on July 4, 2008. Formal inauguration occurred on March 5, 2009. Watch the entire train journey from Nong Khai station, in Thailand, to Thanaleng station, in Laos, passing through both immigrations and across the friendship bridge over the Mekong River. The trains used for these journeys are RHN Hitachi Railcars, built in 1967, being the oldest and rarest railcars still in use on the Thai rail network. 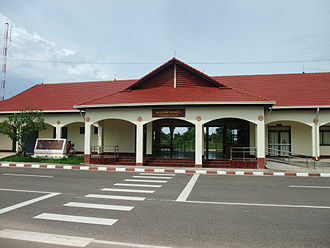 On February 22, 2006, approval of funding for the rail line from Thanaleng Railway Station to Vientiane, about 9 km, was announced by the French Development Agency. In November 2010 plans to extend the service from Thanaleng to Vientiane were abandoned. A posited high-speed rail link from China to Thailand through Laos would make the extension redundant. It would also necessitate the construction of a new bridge near to the current First Friendship Bridge. 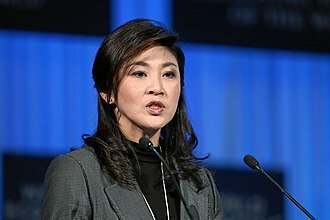 In 2011, Prime Minister Yingluck Shinawatra's revised plan prioritises domestic rail expansion over the ambitious regional connectivity plan spearheaded by China. China is looking to build a high-speed line from Kunming all the way down to Singapore, passing through Laos, Thailand and Malaysia, a project that would increase China's GDP and those of the involved nations by US$375 billion, according to China Railway Corp. Since February 2010 the Eastern and Oriental Express crosses the Mekong via the bridge into Laos. ^ a b "Testing takes train into Laos". Railway Gazette International. 2008-07-07. ^ "Laos link launched". Railway Gazette International. 2007-03-01. ^ Saeung, Sopaporn (February 23, 2006). "France okays Thai-Laos railway link" Archived 2012-10-08 at the Wayback Machine, The Nation. ^ Jutarat Skulpichetrat (August 23, 2011). "Thailand revises high-speed rail plan, Laos link shelved". Reuters. Archived from the original on 2012-07-15. Retrieved July 18, 2012. Wikimedia Commons has media related to Thai-Lao Friendship Bridge. The Mekong is a trans-boundary river in Southeast Asia. It is the worlds 12th-longest river and the 7th-longest in Asia and its estimated length is 4,350 km, and it drains an area of 795,000 km2, discharging 475 km3 of water annually. From the Tibetan Plateau the river runs through Chinas Yunnan Province, Laos, Cambodia, in 1995, Thailand and Vietnam established the Mekong River Commission to assist in the management and coordinated use of the Mekongs resources. In 1996 China and Myanmar became dialogue partners of the MRC, the extreme seasonal variations in flow and the presence of rapids and waterfalls in the Mekong make navigation difficult. Even so, the river is a trade route between western China and Southeast Asia. The English name Mekong derives from a form of Thai. In Thai and Lao, mae nam is used for any major river, as such and Lao locals often refer to it in English as the River Khong. 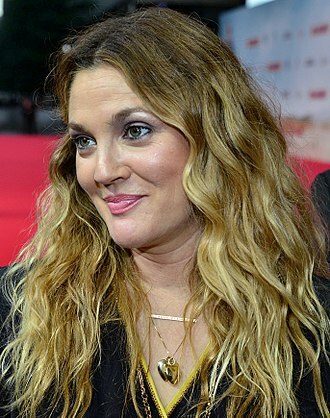 In Khmer, Mékôngk is itself glossed as mother of water, from mé and taking kôngk as a form of kôngkea. The local names for the river include, Burmese, မဲခေါင်မြစ်, IPA, Chinese, 加果空桑贡玛曲, 扎那曲 and 扎曲 Zā Qū, upper reaches, 澜沧江, 瀾滄江 Láncāng Jiāng, middle and lower reaches, Khmer, មេគង្គ Mékôngk, ទន្លេមេគង្គ Tônlé Mékôngk, ទន្លេធំ Tônlé Thum. Tai of Sipsong Panna, น้ำแม่ของ, น้ำของ, the Mekong Basin has one of the worlds largest and most productive inland fisheries. An estimated two million tonnes of fish are landed a year, in addition to almost 500,000 tonnes of aquatic animals. Aquaculture yields about two tonnes of fish a year. 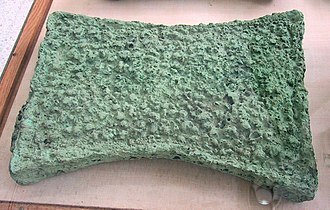 Hence, the lower Mekong basin yields about 4.5 million tonnes of fish, the total economic value of the fishery is between US$3.9 and US$7 billion a year. Wild capture fisheries alone have been valued at US$2 billion a year and this value increases considerably when the multiplier effect is included, but estimates vary widely. An estimated 2.56 million tonnes of fish and other aquatic animals are consumed in the lower Mekong every year. Aquatic resources make up between 47 and 80 percent of protein in rural diets for people who live in the Lower Mekong Basin. A loading gauge defines the maximum height and width for railway vehicles and their loads to ensure safe passage through bridges and other structures. Classification systems vary between different countries and gauges may vary across a network, even if the track gauge remains constant, containerisation and a trend towards larger shipping containers has led rail companies to increase structure gauges to compete effectively with road haulage. Compliance with a loading gauge can be checked with a car which in the past were simple wooden frames or physical feelers mounted on rolling stock. The difference between the two is called the clearance, the terms dynamic envelope or kinematic envelope – which include factors such as suspension travel, overhang on curves and lateral motion on the track – are sometimes used in place of loading gauge. The height of platforms is a consideration when considering the loading gauge of passenger trains, where the two are not directly compatible, steps may be required which will increase loading times. Where long carriages are used on a platform, gaps will occur between the platform and the carriage door, causing additional risk. Problems increase where trains of several different loading gauges and train floor heights use the same platform, the size of load that can be carried on a railway of a particular gauge is influenced by the design of the rolling stock. Low-deck rolling stock can sometimes be used to carry taller 9 ft 6 in shipping containers on lower gauge lines although their low-deck rolling stock cannot carry as many containers. Larger out-of-gauge loads can sometimes be conveyed by taking one or more of the measures, operate at low speed. Cross over from a track with inadequate clearance to another track with greater clearance, prevent operation of other trains on adjacent tracks. Use refuge loops to allow trains to operate on other tracks, use of Schnabel cars that manipulate the load up and down or left and right to clear obstacles. Use gauntlet track to shift the train to side or center, for locomotives that are too heavy, ensure that fuel tanks are nearly empty. Portage or portaging is the practice of carrying water craft or cargo over land, either around an obstacle in a river, or between two bodies of water. A place where this occurs is called a portage. Early French explorers in New France and French Louisiana encountered many rapids, the Native Americans carried their canoes over land to avoid river obstacles. Over time, important portages were sometimes provided with canals with locks, primitive portaging generally involves carrying the vessel and its contents across the portage in multiple trips. Small canoes can be portaged by carrying them inverted over ones shoulders, voyageurs often employed tump lines on their heads to carry loads on their backs. Portages can be many kilometers in length, such as the 19-kilometre Methye Portage, some portages involve very little elevation change, such as the very short Mavis Grind in Shetland, which crosses an isthmus. This section deals mostly with the freight canoes used by the Canadian Voyageurs. Portage trails usually began as animal tracks and were improved by tramping or blazing, in a few places iron-plated wooden rails were laid to take a handcart. Heavily used routes sometimes evolved into roads when sledges, rollers or oxen were used, sometimes railways or canals were built. If the second course were chosen, the boat would be controlled by the avant standing in front with a long paddle, the avant had a better view and was in charge but the gouvernail had more control over the boat. The other canoemen provided power under the instructions of the avant, going upstream was more difficult, as there were many places where the current was too swift to paddle. Where the river bottom was shallow and firm, voyageurs would stand in the canoe and push it upstream with 3-metre poles. If the shoreline was reasonably clear the canoe could be tracked or lined, that is, in worse conditions, the demi-chargé technique was used. Half the cargo was unloaded, the canoe forced upstream, unloaded, in still worse currents, the entire cargo was unloaded and carried overland while the canoe was forced upstream. In the worst case a full portage was necessary, the canoe was carried overland by two or four men The cargo was divided into standard 41-kilogram packs or pièces with each man responsible for about six. Agreements have been signed by 32 countries to allow the highway to cross the continent and reach to Europe. Some of the taking part in the highway project are India, Sri Lanka, China, Japan, South Korea. Most of the funding comes from the larger, more advanced Asian nations like Japan, the project aims to make maximum use of the continents existing highways to avoid the construction of newer ones, except in cases where missing routes necessitate their construction. Non-coastal areas, which are negligible, are the other beneficiaries. However, in the mid-2000s some transportation experts were sceptical about the viability of the given the economic. The Asian Highway Network is going to take over 2 projects, one is the AH45, AH 45A is the new highway all over Asia from Tonghua to Sanaa. 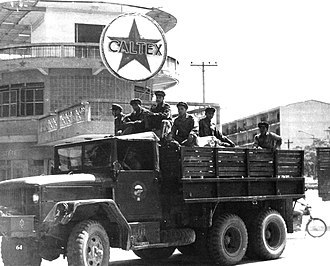 The AH project was initiated by the United Nations in 1959 with the aim of promoting the development of road transport in the region. 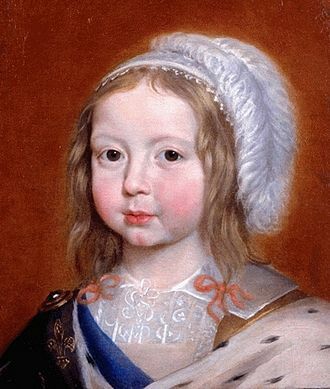 During the first phase of the considerable progress was achieved, however. ESCAP has conducted several projects in cooperation with AH member countries step by step after the endorsement of ALTID in 1992, during the 60th session of the ESCAP Commission at Shanghai, China, in April 2004, the IGA treaty was signed by 23 countries. By 2013,29 countries had ratified the agreement, route AH1 is proposed to extend from Tokyo to the border with Bulgaria west of Istanbul and Edirne, passing through both Koreas and other countries in Southeast and South Asia. The corridor is expected to improve links between East Asian countries and Russia. To complete the route, existing roads will be upgraded and new roads constructed to link the network, uS$25 billion has been spent or committed as of 2007, with additional US$18 billion needed for upgrades and improvements to 26,000 km of highway. The project new highway route numbers begin with AH, standing for Asian Highway, followed by one, single-digit route numbers from 1 to 9 are assigned to major Asian Highway routes which cross more than one subregion. Route numbers are printed in the Latin script and Hindu-Arabic numerals and may simply be added to existing signage, like the E-road network. The actual design of the signs has not been standardized, only that the letters and digits are in white or black, most examples feature a blue rectangular shield with a white inscription with further examples of white on green and black on white rectangular shields. French Development Agency is a public financial institution that implements the policy defined by the French Government. It works to fight poverty and promote sustainable development, in 2014, AFD earmarked EUR8. 1bn to finance projects in developing countries and for the French overseas territories, a commitment up by 4% compared to 2013. Its headquarters is located in Paris and its teams are based in Paris, Marseille and in a network of 72 agencies and representations abroad and in the French overseas territories. AFD is the descendant of the Caisse Centrale de la France Libre created by an ordinance of Charles de Gaulle on 2 December 1941 in London, the Fund’s role was limited to a note-issuing bank and Public Treasury institution. It became the Caisse Centrale de la France dOutre-mer on 2 February 1944 and it did, maintain its role as a note-issuing bank. Following the independence of a number of French colonies, CCFOM changed its name to Caisse Centrale de Coopération Economique in 1958, CCCE became Caisse Française de Développement in 1992. Finally, with the reform of French cooperation in 1998, CFD become Agence Française de Développement,2013, Anne Paugam took over from Dov Zerah as CEO. She is the first woman to head AFD,2014, The Act on Development and International Solidarity recognized the importance of the work conducted by AFD towards France’s international commitments. 2015, Gaël Giraud became AFD’s Chief Economist,2016, Rémy Rioux takes over from Anne Paugam as CEO. As a specialized institution, AFD is subject to banking law. AFD is a financial institution. The Government has entrusted it with the role of the operator for France’s cooperation policy. It thereby combines the functions of development bank and implementing agency for France’s Official Development Assistance policy. ”In overseas France, AFD conducts a policy, on behalf of the State, to public authorities. 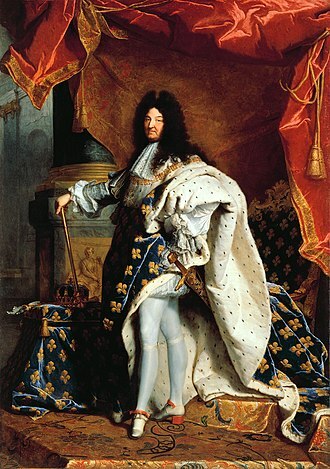 This mandate was reaffirmed during the first Interministerial Committee for Overseas France, chaired by the French President, Agence Française de Développement implements the policy defined by the French Government. Nong Khai is a city in north-east Thailand. It is the capital of Nong Khai Province, Nong Khai city is administered as Amphoe Mueang Nong Khai. 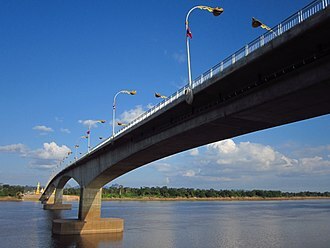 Nong Khai lies on the Mekong River, near the site of the first Thai-Lao Friendship Bridge, the Thai-Lao Friendship bridge was largely funded by a gift to the Lao government from the Australian government. It is the road and railway gateway to Laoss capital, Vientiane,25 kilometers upriver, construction of a rail spur to Thanaleng outside of Vientiane was begun early-2007 and officially opened 5 March 2009. Nong Khai is 626 km north of Bangkok and 60 km north of Udon Thani, the Prap Ho Monument before the old city hall memorialises the dead of the Haw wars. In more recent years, Nong Khai has become a destination during the Buddhist Lent festival when mysterious balls of light, or Naga fireballs. The balls resemble an orange sun and they rise out of the river approximately 6–9 meters and disappear after three to five seconds. Although the fireballs can be seen at times, most Thais travel to see them during the full moon in October when the incidence of them is considered to be much higher. This article concerns systems of transportation in Laos. 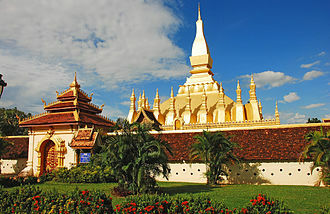 Laos is a country in Asia, which possesses a number of transportation systems, including several highways. 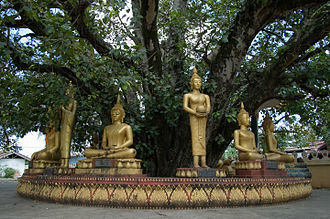 As a landlocked country, Laos possesses no ports or harbours on the sea, because of its mountainous topography and lack of development, Laos has few reliable transportation routes. Laotians in lowland villages located on the banks of rivers have traditionally traveled in pirogues for fishing, trading. Otherwise, travel is by ox-cart over level terrain or by foot, the steep mountains and lack of roads have caused upland ethnic groups to rely entirely on pack baskets and horse packing for transportation. The road system is not extensive, in mid-1994, travel in most areas was difficult and expensive, and most Laotians traveled only limited distances, if at all. Rail transport does not play a significant part in Laoss transport sector, a short portage railway, the Don Det – Don Khon narrow gauge railway, was built by the French while Laos was a part of French Indochina. The railway crossed over the islands of Don Det and Don Khon, enabling vessels, the railway was abandoned and fell into disrepair, although some of the infrastructure is still in place. However, the scheme was aborted in the 1930s. In January 2007 work began on a 3, test trains began running on July 4,2008, and Princess Maha Chakri Sirindhorn of Thailand formally inaugurated the line on March 5,2009. The proposed line would continue to the coast at Vung Ang, a port in Hà Tĩnh Province, according to plans established by ASEAN, the line may be extended via Thakhek all the way to the Laotian capital Vientiane. Both Laos and Thailand have expressed interest in the project as a shorter export gateway to the Pacific Ocean. By 2012, the Thakhek project was not in the news anymore, an agreement for the construction of this 220-kilometre-long, $5 billion line, was signed on Nov 5,2012 with the Malaysian company called Giant Consolidated Limited. The work is supposed to begin in 2013 and be completed in 4 years, Laos has a long history of negotiating with China regarding the possibility of a join railway project. A large number of buses, minibuses and taxis share the streets with private vehicles at Ratchadamri Road, Bangkok. Tuk-tuks are one mode of public transport in Bangkok and other cities in Thailand. A section of Malaysia's North-South Expressway in Penang. Note the Asian Highway 2 signage. Asian Highway Route Sign. This sign is used on the AH&nbsp;18.